The great thing about using self-hypnosis is that everyone can easily fit the sessions into their lives. Listening to hypnosis programs is easy and should be a relaxing experience. Where the only necessity is to find a place or space where you can focus on the track without disturbance, we often advise that the best time for self hypnosis is generally when you go to bed. 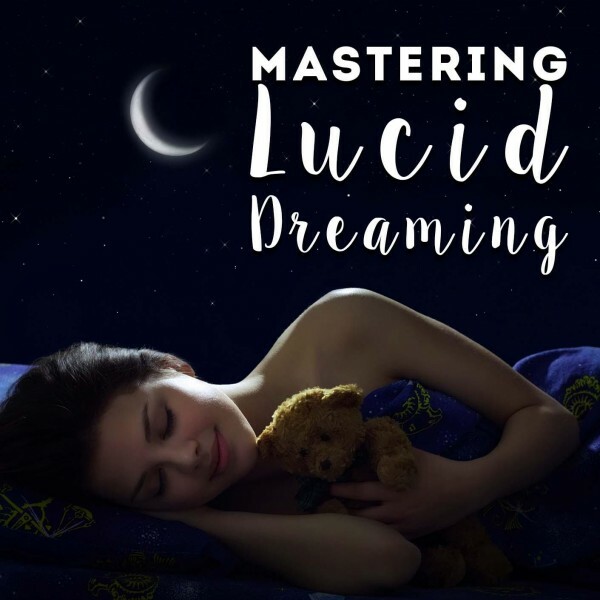 Not only does this allow the chance to properly relax into the program, but the tracks are known to help with deep and restful nights of sleep, so it's ideal to be able to let go when you are ready at the end of the session. Some people prefer to lay down and others find they can focus more when sitting. Any seated position will be suitable as long as you can remain comfortable so that you're not thinking about your position rather than doing your session. Whether you choose to lay or sit in bed or use a reclining chair, the aim is to figure out where you can feel most relaxed and focused for up to an hour. For that reason, you may also want to consider what clothes you are wearing. In many ways, it makes sense to take advantage of being in the comfort of your own home to wear loose, soft clothing that won't restrict movement, or even bedclothes so that you can easily go to sleep on completion. In addition, make sure you're not too hungry, thirsty, or in need of a trip to the restroom. Our hypnosis session mp3s are playable on virtually any device, whether you prefer to use your computer, dedicated mp3 player, music system or phone. If you are using a phone, any type should work (whether you have an iPhone, Android or Windows device). Some people even choose to burn the mp3 to a CD. It's also up to you whether you use headphones - it can be more immersive to use headphones, but only if they feel comfortable. If this is your first experience with hypnosis, you might be a little anxious or just feel very curious. However, if you're so intent on listening to what is being said and working out what is going on, it will be harder to enter the right state. Try to let go and simply enjoy the experience you're being offered! If you practice mindfulness exercises, a similarly calm but non-judgmental state will work well for you here as well. The more often you can make time to listen to the session, the better the results you're likely to see. A rough guide is to begin by listening 2-4 times per week until you're happy with the changes in your life. At that point, you can stop using the session recording, or you can come back to it 1-2 times per month to reaffirm the benefits you're already receiving. It's also worth noting that you can skip the initial few minutes of the recording after your first listen, as it is introductory in nature. There are no hard and fast rules about how you should approach using different sessions, so if it feels right to listen to two particular recordings in a row then you are entirely free to do so. Trust your intuition about this, and experiment with any combination that feels right. Typically, results are enhanced by listening to two recordings in a row, but some people prefer to start out with just one. There are many harmful misconceptions about the nature, purpose and potential side-effects of hypnosis. Please be reassured that is proven to be an entirely safe approach to reprogramming limiting belief patterns and acquiring a new, more positive way of thinking. Contrary to popular belief, hypnosis can't make you do anything you don't want to do, and it's impossible to get "stuck" in a hypnotic trance. You'll begin to notice things changing from the very first time you play the session. After a few days or a week, these changes will become more obvious and more pronounced, impacting on the way you think and feel. As well as reflecting on your journey, listen out for positive feedback from other people often, they will be the first to spot signs of your transformation! So, relax and enjoy your hypnosis session!